The CraftUnique CraftBot 3 is a dual extrusion 3D printer. In addition to the 2 printheads, CraftUnique CraftBot 3 is equipped with a filament flow sensor and an extra large build volume. 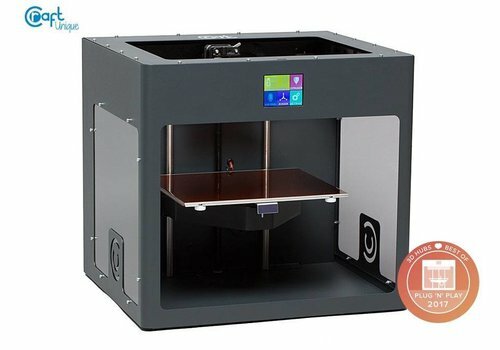 Very silent, fully equipped 3D printer for the beginner, intermediate or semi-professional user. Unpack and print. The CraftUnique CraftBot XL is designed as the ultimate tool voor beginners and (semi-)professional engineers that are looking for a 3D printer with a large build volume.